There is also a back up story with Dazzler being harassed. I wanted to buy Uncanny X-Men 132 so badly for Christmas and then I discovered that I bought it via this issue. Funny how that works out. 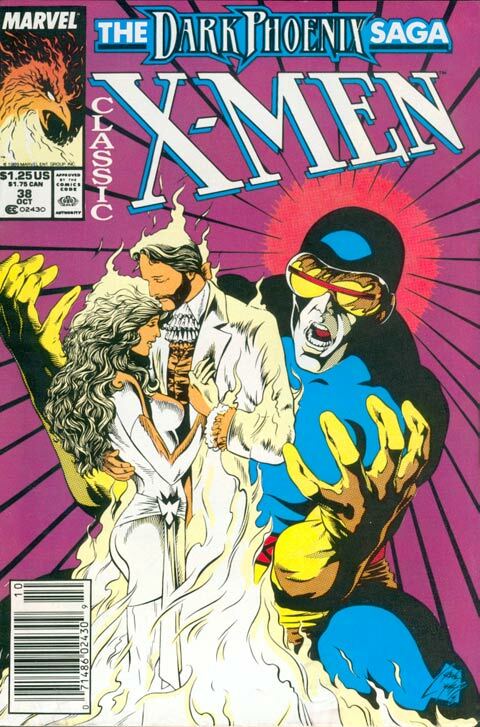 When I state that the Dark Phoenix Saga is only good for the first few issues, this is the final issue of that. Issues 129, 130, 131 and 132 – four out of nine isn’t that bad. 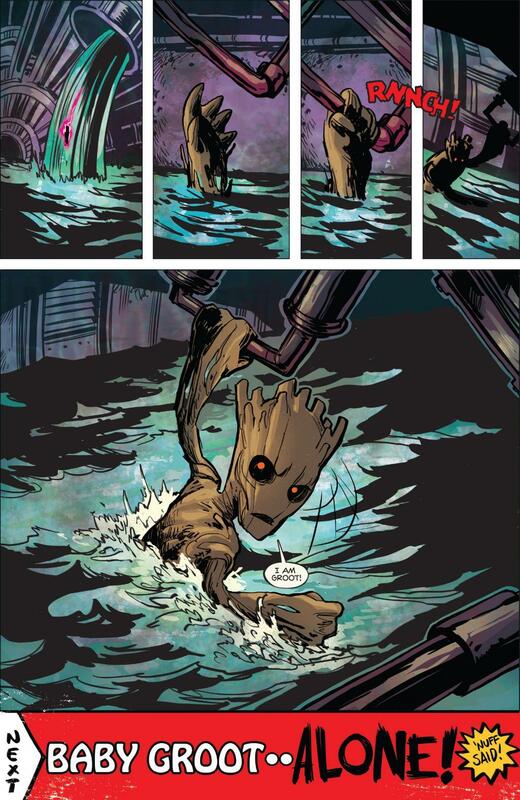 Ten really, if you count the funeral issue but Marvel rarely includes that in trades, which is weird to me. This issue opens with the X-Men at Angel’s Aerie in New Mexico. 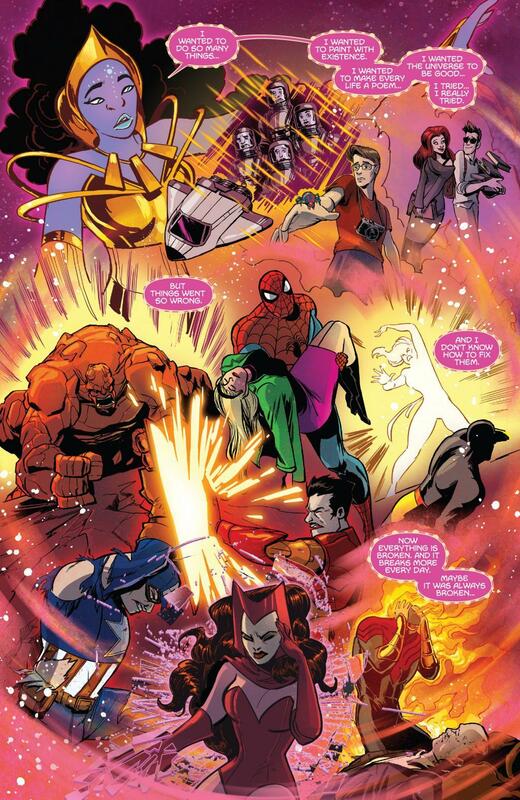 The X-Men have been dealt a loss by the Hellfire Club and now they are regrouping. Angel doesn’t really know this All-New, All-Different team. Angel sees Phoenix and kisses her right on the mouth! Candy Southern is not impress, but she takes it in stride. Cyclops wants a private moment with Warren. Xavier is annoyed that his field leader is now just the leader of the X-Men. Cyclops is playing this one pretty close to the vest. 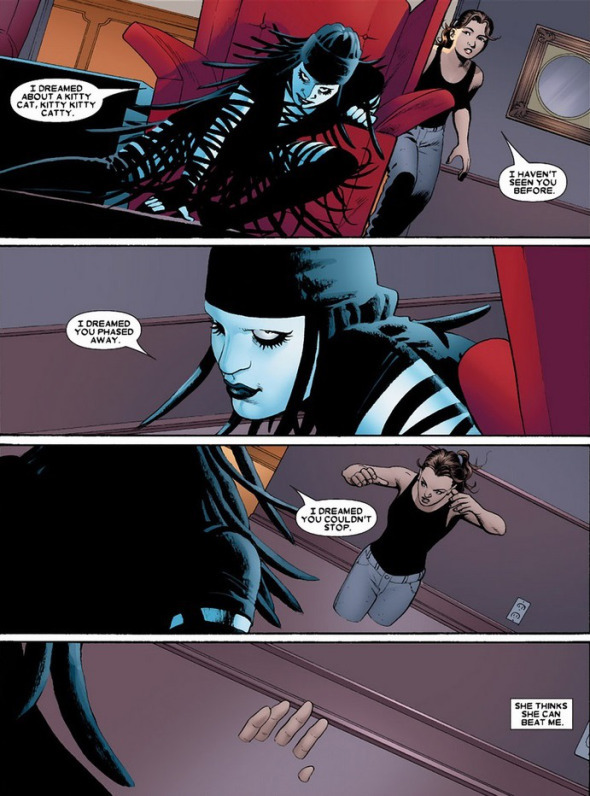 Cyclops gives Angel an update on what has been happening. 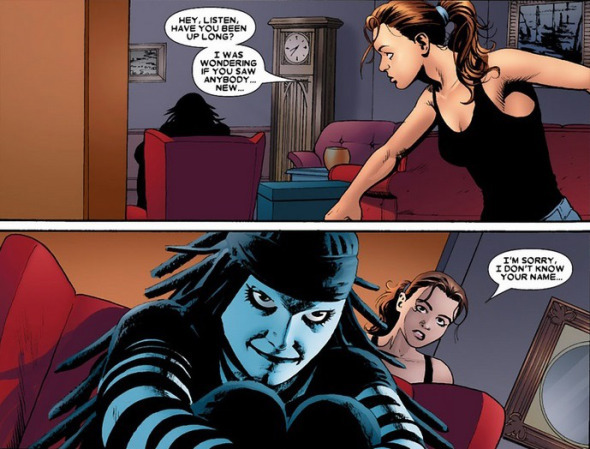 That panel with Kitty is the sole reason that I want to own this issue properly.. I had forgotten that Kitty is referenced on the next page, as well! 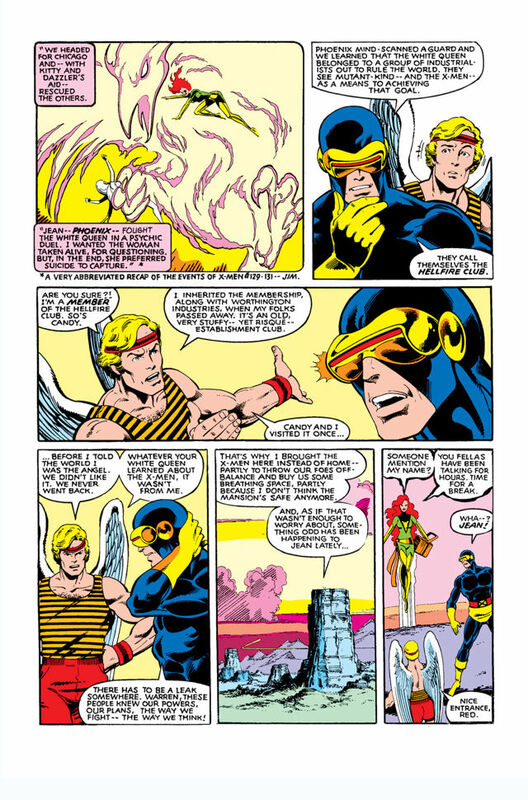 Cyclops mentions the Hellfire Club, Candy and Warren a members though they didn’t care for the place. Cyclops suspects there is a mole or some spy tech that is giving the Hellfire Club all of their intel, which is why he isn’t going to any of their known bases. Scott takes a moment to try to share with one of his oldest friends, that something odd is happening to ‘Jean’ but she appears right then. Angel picks up that this should be a private moment. Phoenix doesn’t waste a moment changing from her classic green costume to a very form fitting bikini number. 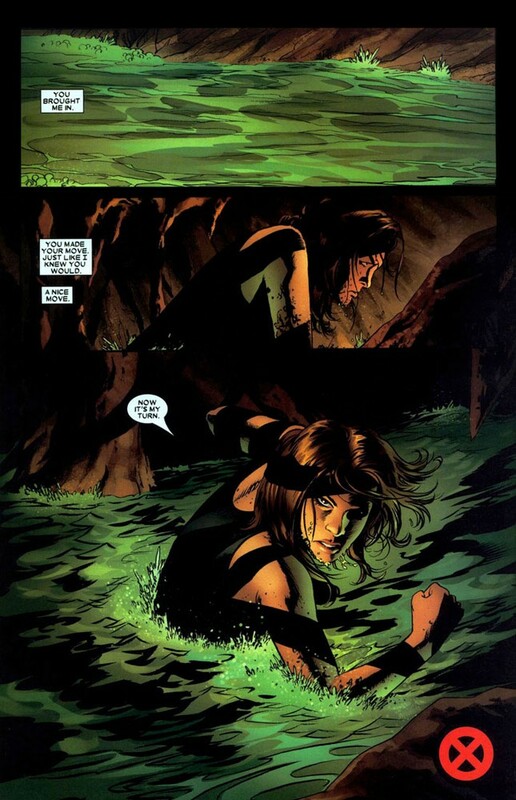 She takes off Cyclops’ visor, he panics but she is holding his totality of his powers back. Then the love making begins. A week passes. Four blocks down from the Avenges Mansion, lies the Hellfire Club. In the sewer below the club, Wolverine and Nightcrawler are working their way up. The water is rising, so Wolverine cuts a power cord, when the water hits the exposed wires, the power will be shut off. He’s planning ahead. Kurt calls the others, they are in place. Angel got Phoenix, Cyclops, Colossus and Storm invitations, using fake names. Xavier and Angel are still in New Mexico. 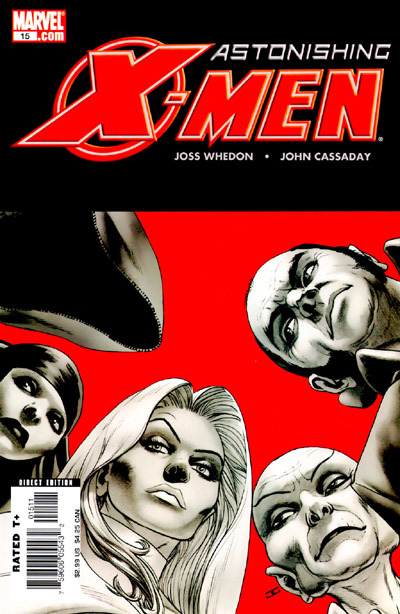 The X-Men have to investigate the connection between the White Queen and the Hellfire Club. So awesome to see history forming here. If the X-Men don’t report back by Midnight, something went wrong and Xavier & Angel need to form a new mutant strikeforce. Xavier is lucky out with a good group, every other time at this point so the next batch should be a complete failure. The Original Team, success. The Deadly Genesis Team, disaster. The All-New, All Different Team, success. Luckily, it doesn’t come to that. Xavier is mostly upset as he can’t connect to his X-Men, telepathically. Inside the Club, Colossus thinks to himself that he isn’t comfortable in such a nice suit. He is missing home, as he thinks about how his suit costs more than what his family makes in a year. He recognizes some famous Russians in attendance. Colossus and Storm are a pair. 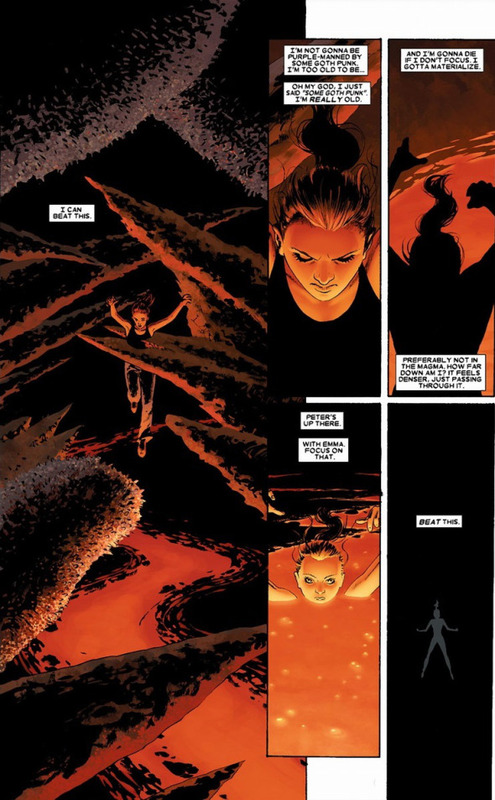 Next, Scott and Phoenix enter. Pierce instantly recognizes Phoenix. 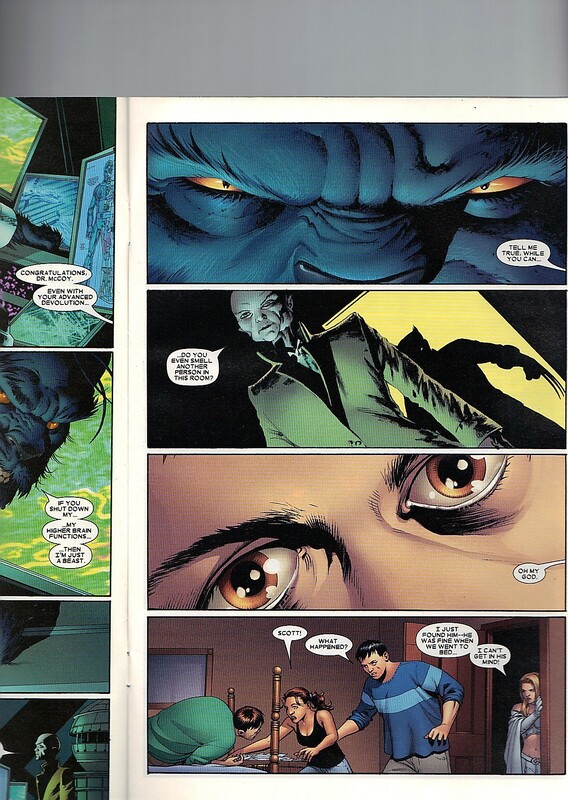 Shaw tells them that the X-Men must be here, and to start scanning the room for the others. Colossus and Storm recognize Scott’s scream and come running. Shaw confronts Colossus, and like an idiot, Colossus attacks him physically and makes him stronger. 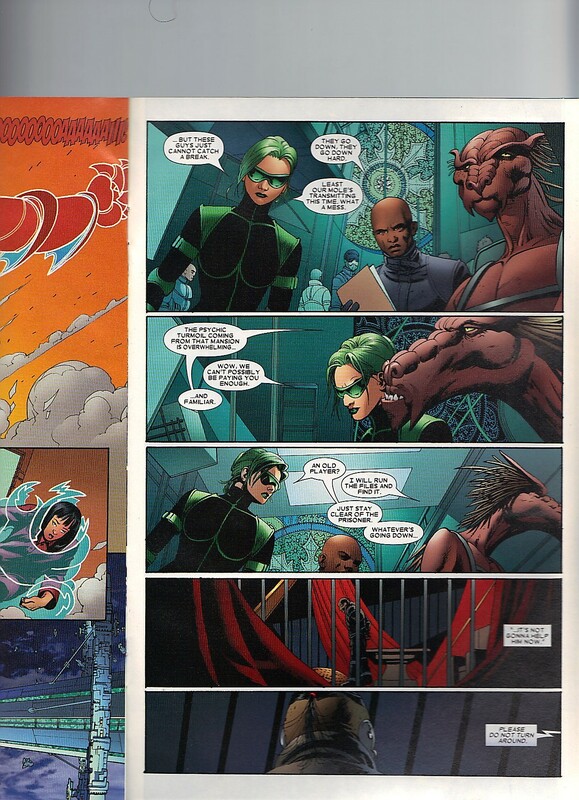 Storm tries to stay out of Shaw’s reach. Kurt and Wolverine finally make it to the ground floor and are met by Donald Pierce. 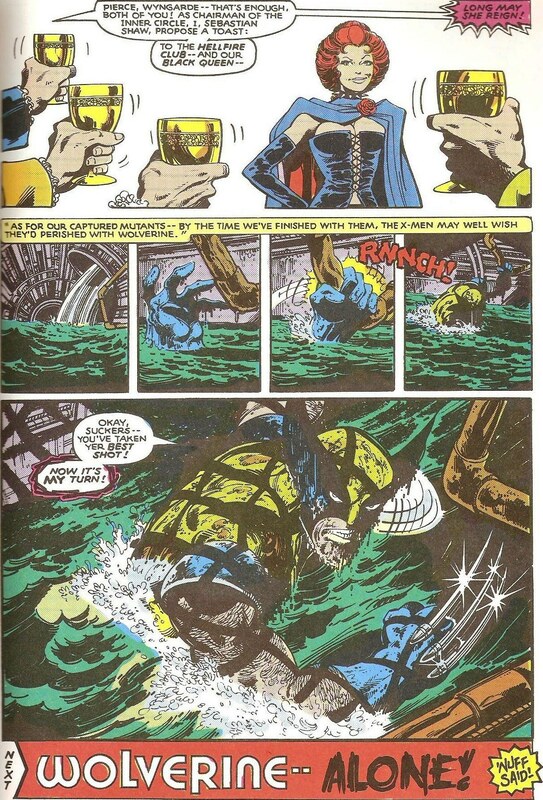 Wolverine cuts off his arm, revealing that Pierce is partly cyborg. Good thing as, if not, Wolverine just cut off a dude’s arm! Wolverine makes a reference to Steve Austin, the six million dollar man. Before he can press the attack, Harry Leland arrives and using his mutant power to increase one’s mass, makes Wolverine heavy. 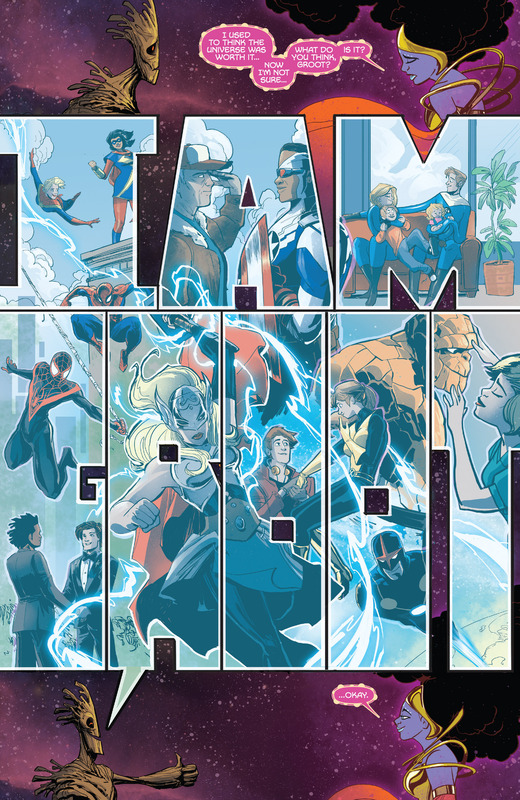 I do like how everyone introduces themselves, in this issue, as I forgot Pierce’s first name and I can rarely remember Leland, outside of his power and his role in this issue. He doesn’t last long as a Club member, if I remember correctly. Wolverine is so heavy that he falls three floors and back into the sewer. What will happen to him, I wonder? 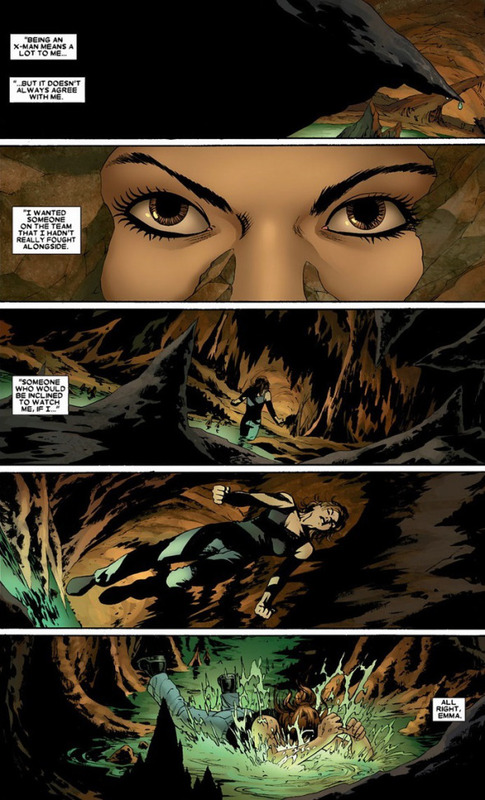 Storm is on her way out the door when Shaw grabs her by the left foot and slams her to the ground. Using her cloak, he strangles her (a little) and knocks her out. The X-Men are defeated, and pretty easily. The Hellfire Club toast Black Queen for making the victory possible. But from the sewers, the Wolverine that we all know and love . . . emerges! Now, it is his turn! In one of the moment famous panels of X-Men history, and why I suspect this issue is so expensive. This is the last chapter of the Dark Phoenix Saga that I own, until the funeral scene but things don’t really get much better for the X-Men after this until a new ray of light shines into the mansion and makes everything better. There is two odd advertising decisions in the back of this issue. One is promoting Marvel Handbook Update ’89, which I own seven of the eight issues. Though they only promote six issues. Which isn’t the odd part, the odd part is that this ad is repeated as the back cover ad. One would imagine that that could have gone to a paid advertiser. 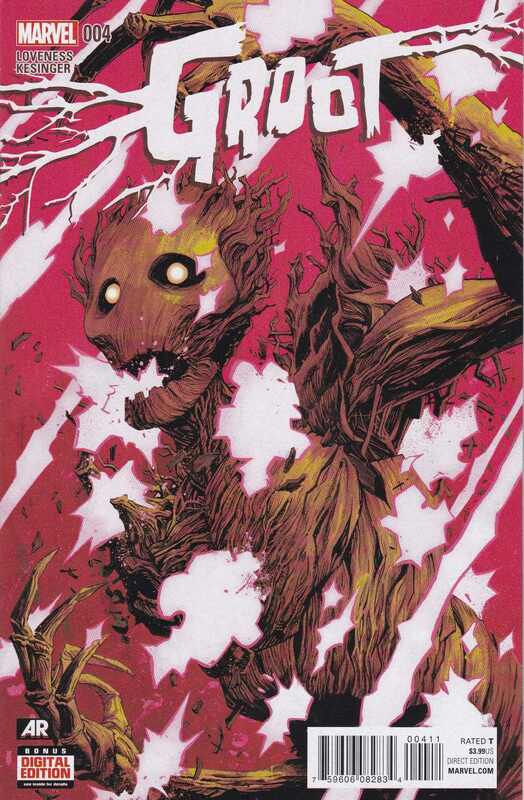 The same thing happens with the inside back cover and the last advertisement which is promoting three annuals participating in the Atlantis Attacks crossover – West Coast Avengers 4, Thor 14 and Fantastic Four 22. Maybe advertisers didn’t want to pay for reprinted material, but I imagine Classic must have sold well. Especially these issues.